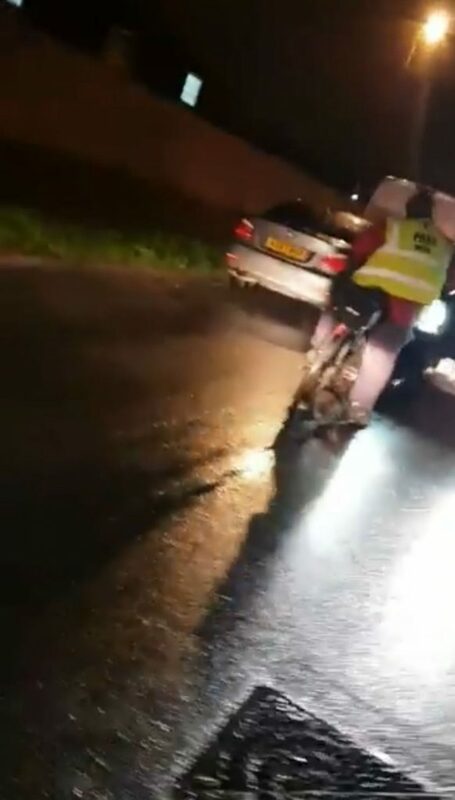 HILARIOUS video shows a driver and cyclist block a road as they swap insults over who had right of way. The cyclist rages that the motorist’s “three-tonne” vehicle failed to give way for his “tiny” bike. The driver is furious at the cyclist’s very bright strobing light and the fact he “barged” his way down the street. As trapped drivers start to sound their horns in frustration, the pair start to swap insults with the driver claiming the cyclist is probably “unemployed”. The cyclist, before reluctantly backing down, claims the driver has a “f screw loose”. The clip is thought to have been filmed in Shoreham, West Sussex, and was uploaded to a public Facebook page dedicated to bad driving on Tuesday. It was subsequently removed but not after dozens of viewers had commented, most of whom judged the “fat pr**k” cyclist at fault. It appears the clip was posted by Steve Bartholomew, although it is now known if he filmed it. The caption stated: “As I am in the business of making enemies at the moment I came upon this road hog of a cyclist. “This man thought cause he was a wide load, he could barge his way through. 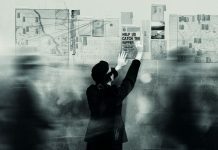 “I am losing faith in people fast and a damn shame it wasn’t just me on my own. The biker refused to move, leaving traffic sounding their horns. The clip begins when the man filming gets out of his vehicle and confronts the man on bike, who can already be heard yelling that he too is filming. Behind the biker, a car with its headlights on can be seen sat still and waiting. An argument ensues with the driver accusing the biker of barging out. 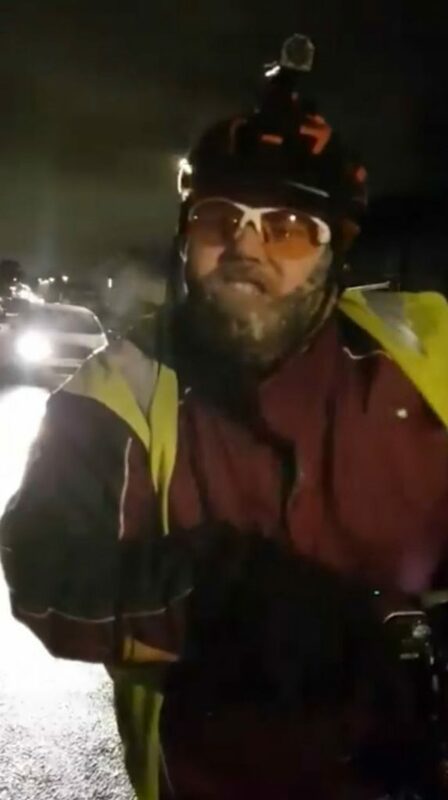 The driver asks the biker to stop swearing and “goading” him, but the biker only gets angrier, making the the claim that “all motorists are pr**ks”. They start arguing about wages with the biker saying that he could be unemployed for all the driver knows. 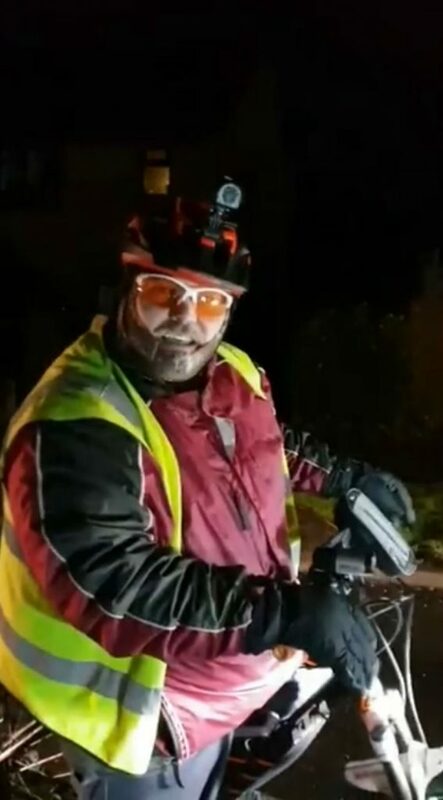 The driver responds: “You probably are.” He accuses the biker commiting a road traffic offence, by having a light that is too bright and flashing, and again says he barged in the way. Cars begin queueing up and sounding their horns as the row goes on. He approaches the biker again who is now in mid-row with a woman in her car. Facebook users were mostly critical of the biker and his behaviour.